Quality auto glass repair and windshield replacement throughout Maricopa County and surrounding areas. 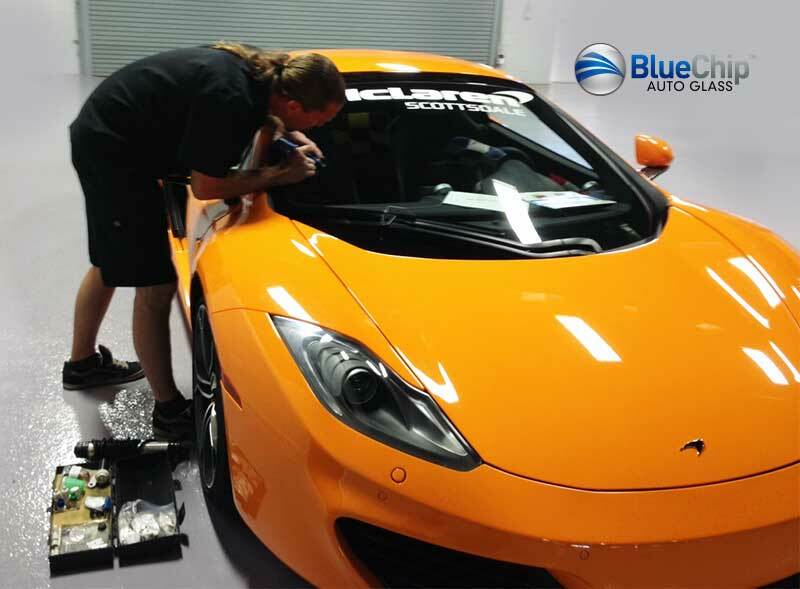 Each of our Sika Urethane and certified auto glass technicians has provided customers with exceptional auto glass repair and replacement services since 2001. “This company was quick and helpful when they replaced our windshield. They contacted our insurance company, helped with filing our claim, responded the same day at the agreed location and time, replaced the windshield quickly, and even made a follow up call to be sure everything was ok! I would recommend them to anyone.” Dawn K.
They were on time, patient with our need to reschedule, and provided great information when working with our insurance company. We were very happy to work with them and would recommend them to anyone. —Karen A.
I highly recommend Kelly and his wonderful team… I hope I don’t have to replace any of my car’s windows again, but if I do, I will definitely call this company. —Dyanna P.
We were very satisfied with the service we received. The tech was friendly and knew what he was doing. He did a great job, and came when they said he would. We will recommend them to anyone. —Joan L.
When you pay for your auto glass replacement using your insurance coverage, we help you every step of the way. We call the insurance company, help to set up the claim and arrange direct billing so that you don’t have to be bothered once the work is completed. We work with all major insurance carriers and we are an approved or preferred vendor with many. With over 15 years experience in the industry you can trust us with your claim. We want your windshield or other auto glass replacement experience to be as convenient and hassle free as possible. One of the services that we offer at no additional charge is mobile service. Regardless of whether you decide to pay for your repair or replacement yourself or file an insurance claim, we will come to you to complete the repair work. 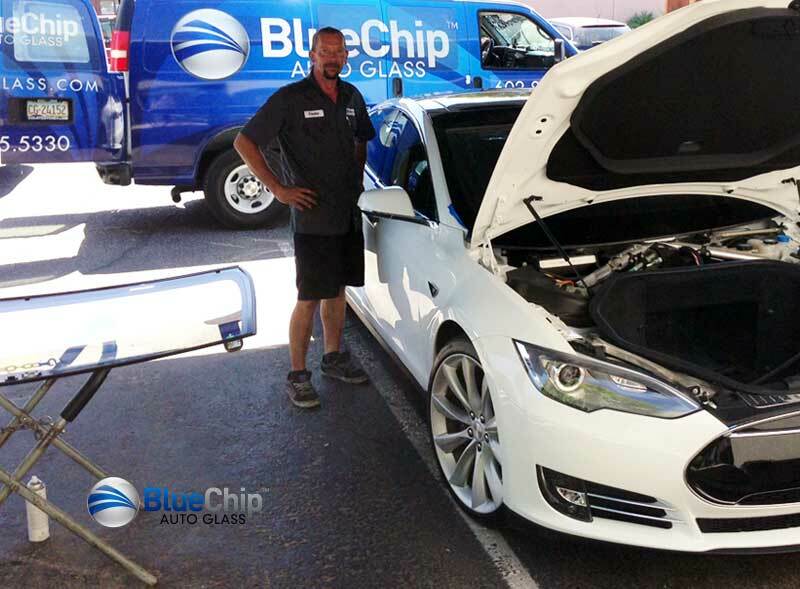 At Blue Chip Auto Glass this mobile service option is always free to you. We are committed to making sure your auto glass repair is completed correctly the first time. 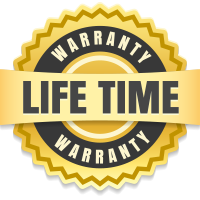 While we are confident in our materials and our work, we still offer a lifetime warranty on all windshield replacements. If you have any trouble with your windshield or notice any defects in the glass after the installation, call us and we’ll repair it for no charge. We repair and replace auto glass throughout the Phoenix, Arizona area where we are based. 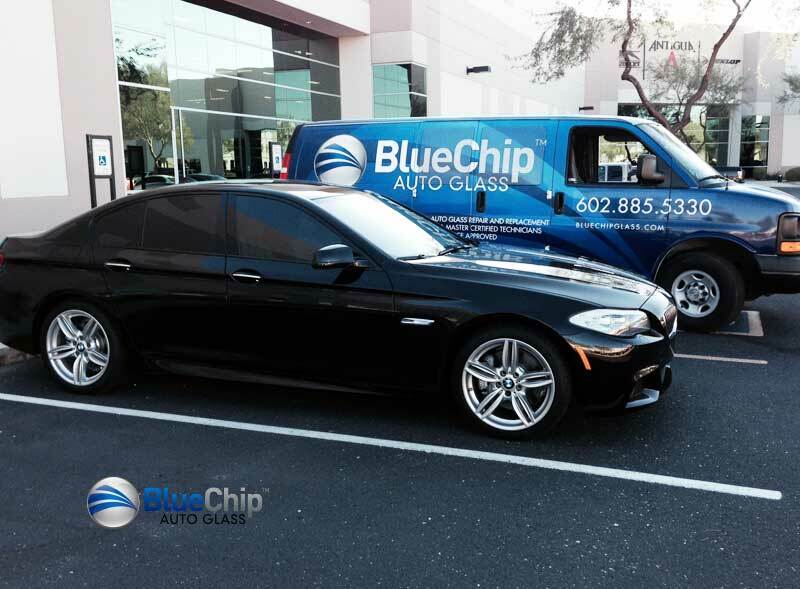 The company began in 2001 in an effort to improve service levels in the Phoenix automotive glass industry, and to give consumers in the Valley of the Sun a viable alternative to auto glass shops that offered poor service. Don’t see your city listed? Please contact us.